Jessica wears many hats but also has tunnel vision focus on everything she works on. She's an actress, comedienne, screenwriter and director. Jessica has always been true to her heartas well as to her sense of humor. She loves creative, honest expressions of all kinds and genres, but has always had a special place in her heart for comedy. 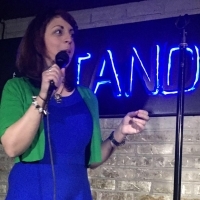 As a comic shes performed at a variety of New Yorks best venues, including New York Comedy Club, Broadway Comedy Club, Village Lantern and many glamorous bar basements. She went to NYUs Tisch School of the Arts where she studied acting and directing for theater. She later went to the Columbia Grad Film program, where she wrote, directed, and produced a strong body of film and TV projects. Around that time she developed a strong passion for improv and sketch comedy, and trained and performed at a variety of theaters, including Upright Citizens Brigade Many of her films, pilots, and web series have been honored in a variety of festivals and script contests. Many of her films, pilots, and web series have been honored in a variety of festivals and script contests including PAGE Screenwriting contest, TV Guide TV Writing Contest, Hollyshorts Film Festival, The Harlem Film Festival, LA Comedy Shorts Festival, World Of Comedy Film Festival, etc. One of the web series she was a staff writer for was recently optioned by the BET network. Some career highlights include: Semifinals in the Sundance Writers Lab, a Student Academy nomination, an Audience Choice Award in the Columbia Film Festival, and an award in the New York TV Festival (NYTVF).